Aaron Cole September 17, 2018 Comment Now! Fashionably late to the party, the 2019 Cadillac XT4 small crossover SUV doesn’t bother to shake hands at the door. It swaggers past competitors and waits for the party to come to it. Uncork the expensive stuff, you guys. The 2019 Cadillac XT4 is the girlfriend meme in automotive form, svelte sheet metal that snaps necks of passersby. If Mercedes-Benz and BMW aren’t worried yet, they should check their owners’ phones in the middle of the night—tonight. Even though the XT4 is late to the party, it still has every right to be there. That’s partially due to its new powertrain. The small Cadillac crossover relies on a new 2.0-liter turbo-4 for propulsion—unrelated in every way from the 2.0-liter turbo-4 found in the similarly sized Chevy Equinox or GMC Terrain. The Caddy’s version is so nice, GM should have done it twice. It’s the latest turbo-4 in a group of crossovers that we have good feelings for. BMW and Mercedes have one each, Audi does too. V-6s feel like yesterday’s news, already. But the best looking part of the Cadillac is right there where you can see it. Its beauty is really just skin deep. Cadillac’s youngest ever design team put pen to paper to draw a razor-sharp crossover for an off-the-rack SUV that has all the right moves, for now. Check back with us in three fall seasons to see if we feel the same way. Better yet, don’t. And, like New York Fashion week, if you have to ask how much it costs you’ll surely be disappointed. 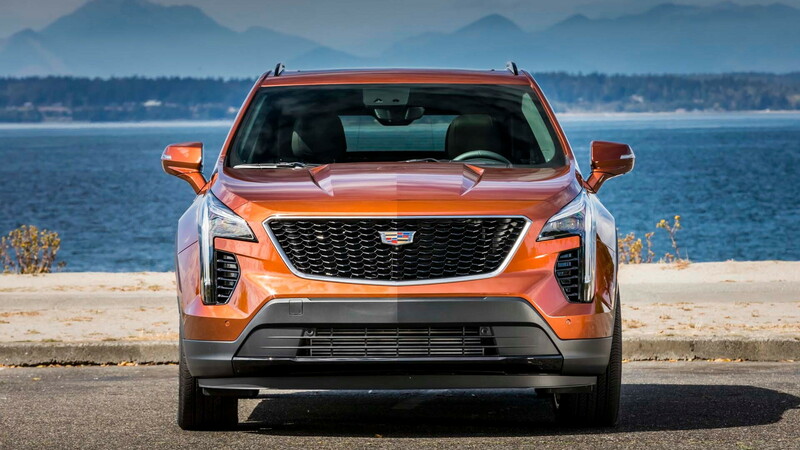 Priced and sized between competitors’ smallest ‘utes and compact crossovers, the Cadillac XT4 is on the big side of small or the small side of big. Gone jeans shopping recently? You know what we mean. Compared to the Volvo XC40 and XC60, the XT4 sizes up naturally to middleweight: the Caddy is nearly seven inches longer than the XC40, but only 3.5 inches shorter than the XC60. Same goes for the Benz GLA- and GLC-Class competitors: the XT4 is more than seven inches longer than the GLA-Class but within two inches of the GLC-Class. Larger competition fits the XT4’s entry price anyway. While the Cadillac starts around $35,000, its best life is well above $50,000. More on that later. Like nearly every other competitor with a compact crossover, the XT4 packs a small-displacement engine and automatic transmission under its hood for high efficiency that’s EPA-rated up to 30 mpg on the highway. The 237-horsepower 2.0-liter turbo-4 features variable valve lift and cylinder shutdown for maximum efficiency or effort, depending on situation, and while it’s seemingly down on power on paper compared to the BMW X3 or Mercedes-Benz GLC-Class, the XT4 keeps pace with both. Behind the wheel, the 2.0-liter turbo-4 is spry and willing, a half-second whiff of turbo lag is the only misstep in an otherwise entertaining dance down any road. Similarly, GM’s 9-speed transmission takes a fraction longer to kick down than the spectacular 8-speed autoboxes found in some competitors. 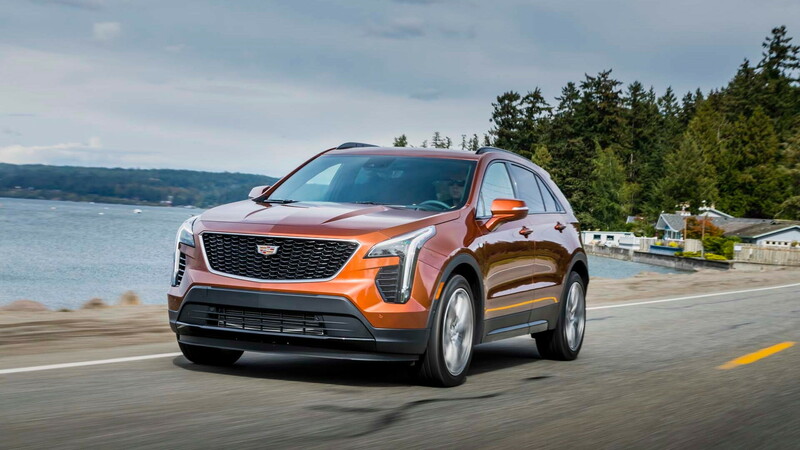 Thankfully, the XT4 skips some of the clunky shifts we’ve found in other 9-speeds; the Cadillac upshifts smoother than mayo and mild cheddar on turkey. Cadillac doesn’t quote 0-60 mph times, but the XT4 feels like a solid six-and-some-change crossover with down-low torque for entertainment if not outright acceleration. On Sport-equipped XT4s, continuously controlled adaptive dampers electromagically keep the tall-riding crossover cosseted around corners. Svelte and sharp, nothing is spilling out of the Cadillac XT4 that shouldn’t be. It only takes a few minutes to see why Cadillac didn’t reskin an Equinox or Terrain for its first compact crossover—the XT4 is more refined than both. On the road, the XT4s creamy ride—even on the standard springs in Luxury and Premium Luxury trims—impresses. The optional 20-inch wheels that fill out the XT4’s sizable arches are a little flinty; standard 18s should be the pick for ridership priority. In many ways, the Cadillac splits the class that seems equally divided on performance—business casual or buck nutty?—and surpasses the rest in ride. It’s not the same inside. While the Cadillac feels similarly tall-riding, its high window line seemingly drops the driver down lower than they are. Six-footers will fit behind other six-footers, but the XT4 has less leg room than those marginally bigger competitors. Truthfully, the engine could be four miniature schnauzers chasing a tennis ball, and I’m not sure I’d loudly complain about the XT4 with the way it looks. Cadillac’s design team microdosed cool into the small crossover. The XT4’s basic shape isn’t foreign to anyone who’s seen the XT5 that’s been on roads for at least two years, but the details are better. The smaller size wears the same accents and concepts, distilled into a better package that looks great. 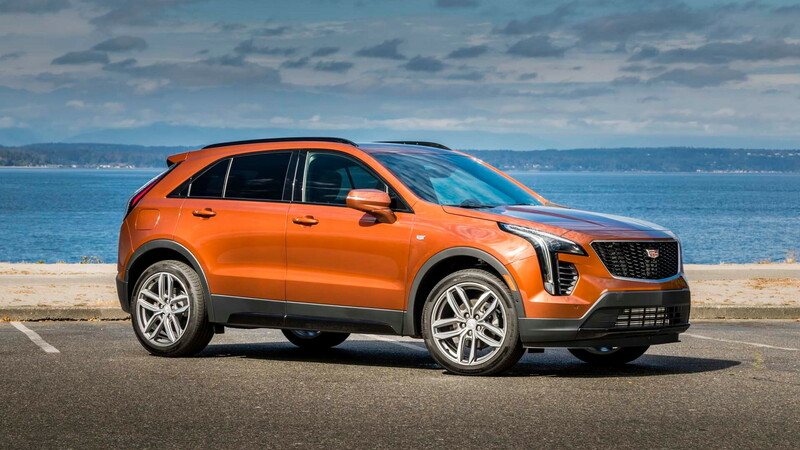 Like capris and round glasses, the XT4 is on point for now—the sharp daytime LEDs cut up from the road toward the front fenders and back again to an overly wide grille and floating badge. Every crease and corner carries away toward the rear end that cribbed vertical taillights from the Escalade (Sport versions have clear lenses instead of amber). 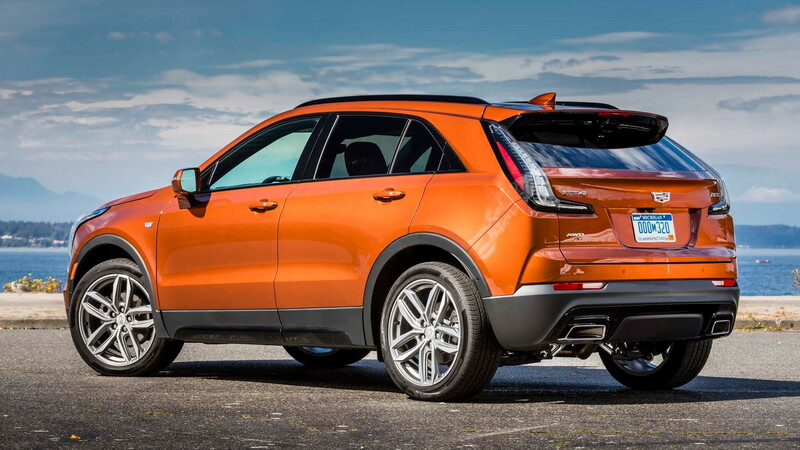 The presentation would have greater effect if other automakers such as Honda and Volvo hadn’t already done the same on their crossovers. Inside, the XT4 is similarly as sharp with soft-touch materials and smooth surfacing. Looking for GM-ness in the sea of cool? Touch the dash around the standard 8.0-inch touchscreen that at points feels hard, then dad-bod hard. Meh. Sport and Premium Luxury trims heap on goodies such as leather (optional on Sport), interior accents like carbon “faux-ber” or wood, a sport steering wheel, and better lighting. Option packages can heap on creature comforts like in-seat massagers and belly-rumbling bass—but not better performance or hybrid batteries. Trimmed up to better specification, including active safety features, the XT4 easily crests $50,000. Our two testers in Seattle didn’t blink past $54,000 and $56,000, well out of reach from smaller competitors like the GLA and X1. We wouldn’t bat an eye at the XT4’s price for now. Maybe just snap a neck as it rolls by. 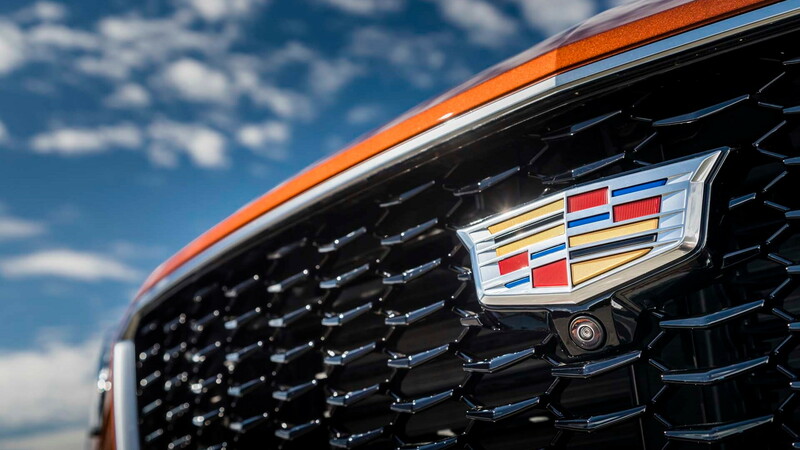 Cadillac provided travel and lodging to Internet Brands Automotive to bring you this firsthand report.